What’s the best way to explore Ireland? How can you get a good taste of the country and it’s culture? And how can you do this is only 7 days? The answer is simple: get behind the wheel and start your road trip! Visiting Dublin is inevitable. While the capital is not like any other city in Ireland, it’s a perfect first encouter with the Irish culture. Stroll through the Temple Bar district while hopping into some bars with live music all day long. Go shopping at Grafton Street and spend some time walking around St. Stephen’s Green. 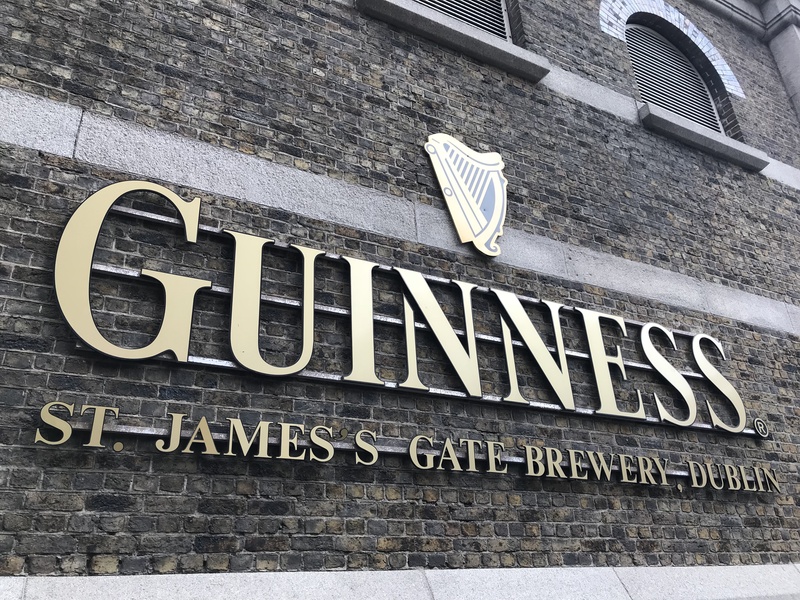 Absorb history at ancient Trinity College and the Book of Kells, whiling ending your day at the Guinness Storehouse for a modern museum experience and the perfect pint of Guinness. Plan on spending more time in the capital? Then don’t forget to visit the Jameson Distillery, Saint Patrick’s Cathedral and Dublin Castle. Only a few kilometers south of Dublin you can get a first glance of the Wicklow Mountains. 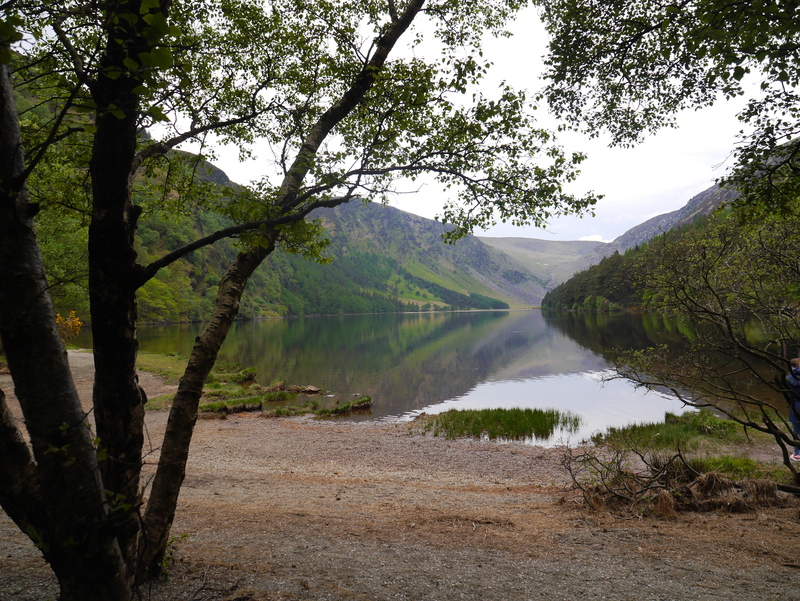 Enjoy the beautiful ride through Ireland’s countryside while navigating to Glendalough, a glacial valley in the Wicklow Mountains National Park. Gleann Dá Loch used to be one lake but throughout time it got split into an Upper and Lower lake. From both the lakes, multiple walking trails start which are definitely worth the hike. 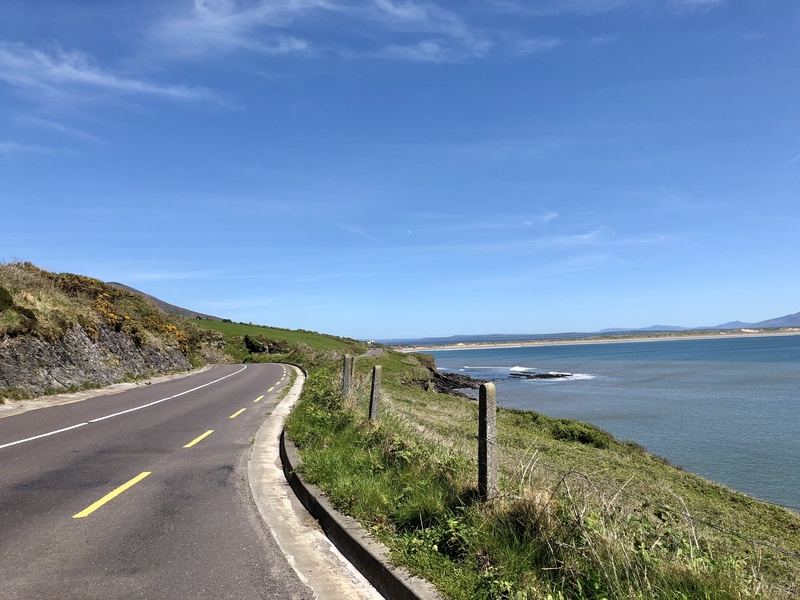 Besides the fact that the ride through the Wicklow Mountains is beautiful, it is also a perfect stop on your way down to Cork: Ireland’s second biggest city. 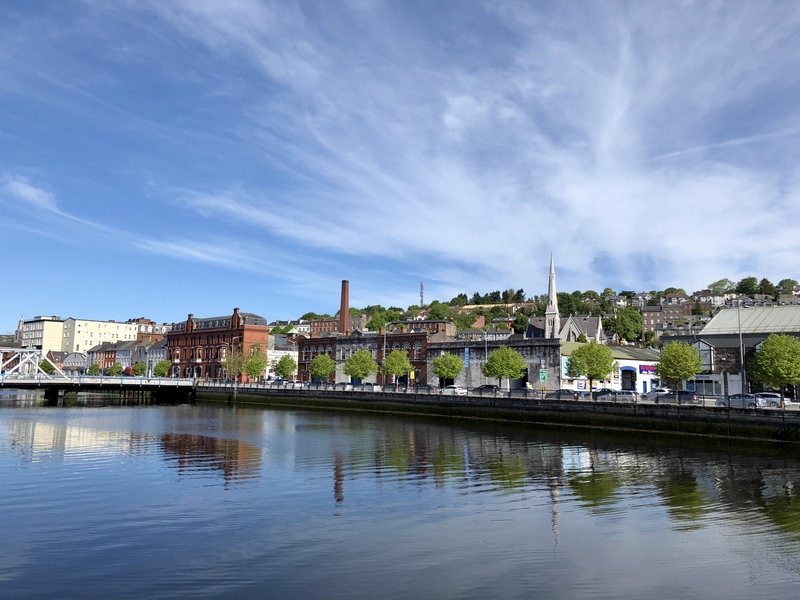 The people from Cork are like nowhere else; they all have very strong characters, are hard to understand because of their heavy accents and call their city “the real capital”. Also, just like everywhere else in Ireland, the people are extremely friendly. Personally I really enjoyed visiting Cork: an industrial yet trendy city. 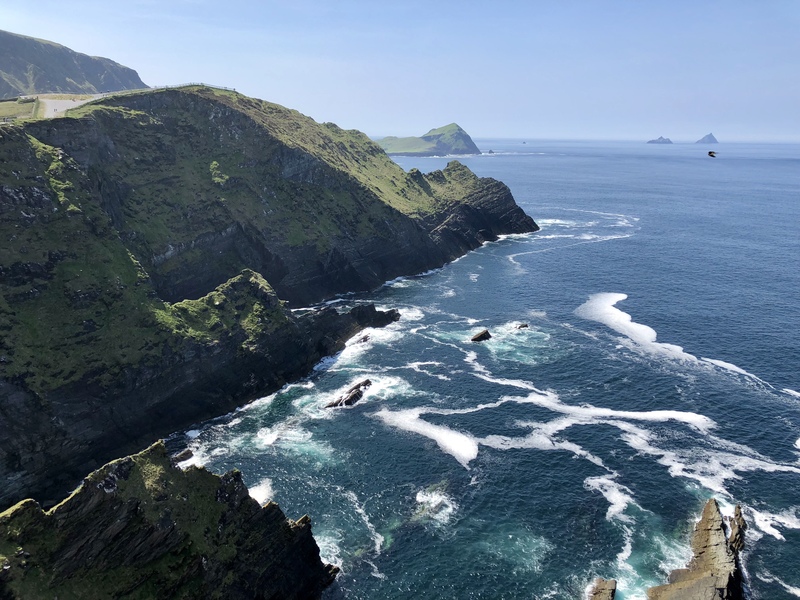 One of the biggest surprises during our trip through Ireland was the Dingle peninsula: a brilliant, mostly undiscovered, scenic route along the Irish coastline. It was exactly what I had hoped to experience during this trip! Killarney is the perfect base to start your trip to the Dingle peninsula. A relatively short drive will lead you to the beautiful Inch Beach, a 3 miles long beach with on each side green hills emerging from the ocean. 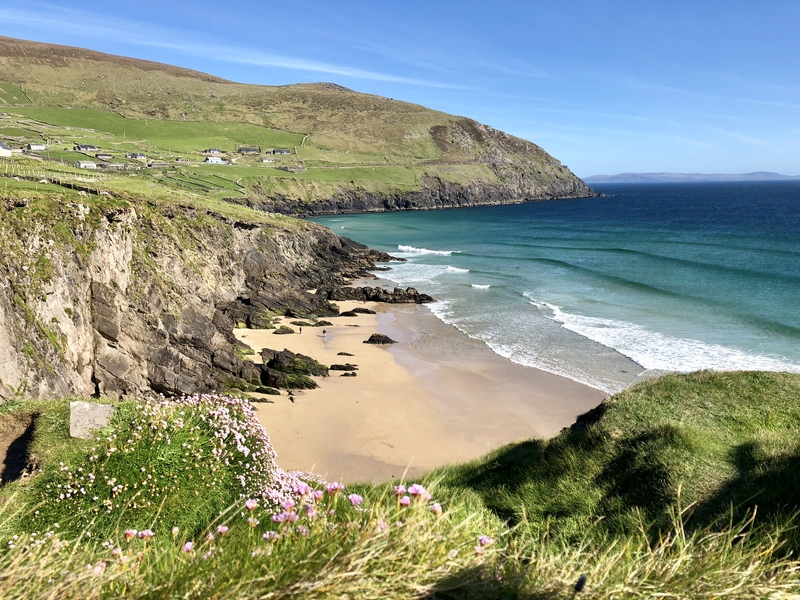 Continuing the route towards Dingle will take you along a marvelous road along the coast with many viewpoints – each one more beautiful than the last. 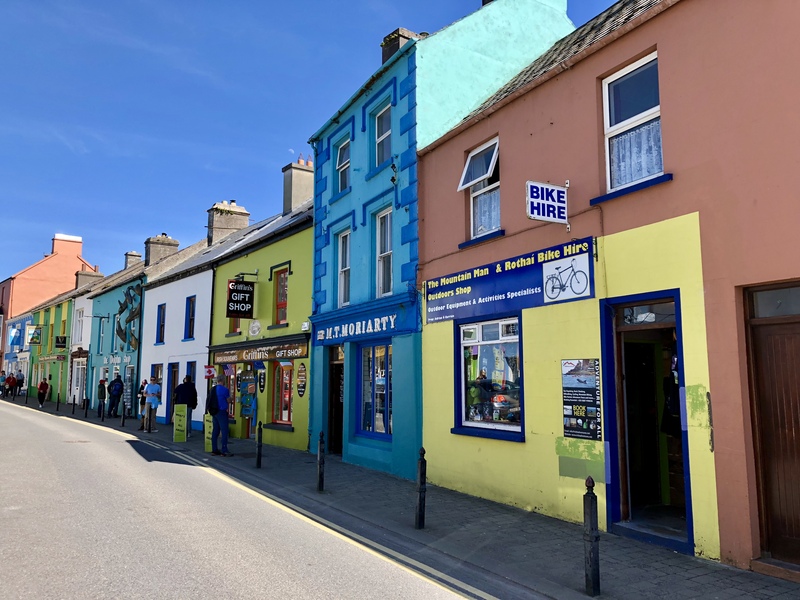 Dingle is one of those towns that everyone loves: a typical, colorful Irish town at the waterfront. It’s the perfect stop for gift shopping, eating fresh seafood or trying the famous Dingle icecream. Unfortunately touring cars carry out trips to Dingle which gives the small town a little bit of a tourist vibe. To my surprise, the best of the Dingle peninsula is yet to come. From Dingle you can follow the road signs to the Slea Head Drive, which is once more a magnificent coastline route. The most westernpoint of the Dingle peninsula is called Dunmore Head; while it is a little harder to reach, since the roads are very small and oftentimes can only fit one car, the view is sublime! South of the Dingle peninsula is the famous Ring of Kerry: a scenic 179 kilometer circular route along the coastline of county Kerry. You can drive the ring of Kerry either clockwise or anticlockwise. While travel agencies recommend the latter -to beat the crowds- I didn’t experience crowds nor touring cars on the entire ring. To mix the mode of transportation a little bit, I can highly recommend taking a boat trip to the Skellig Islands. The islands are located about 10 kilometers of the coast and are part of the UNESCO world heritage. Boats leave multiple times a day from the small fishing village Portmagee. Besides taking the boat in Portmagee, I would recommend to plan an extra hour to visit the Kerry cliffs. While they are less well known than the Cliffs of Moher, they are at least as impressive -or even more. Also, from the Kerry cliffs you can get a glance at the Skellig islands in the distance. As you continue driving the ring of Kerry, you’ll pas by many beautiful panoramic views of the Atlantic Ocean. Just like at the Dingle peninsula, there are viewpoints every few kilometers to pull over your car. As you make your way back to Killarney, there is one last stop on the list: Killarney National Park. 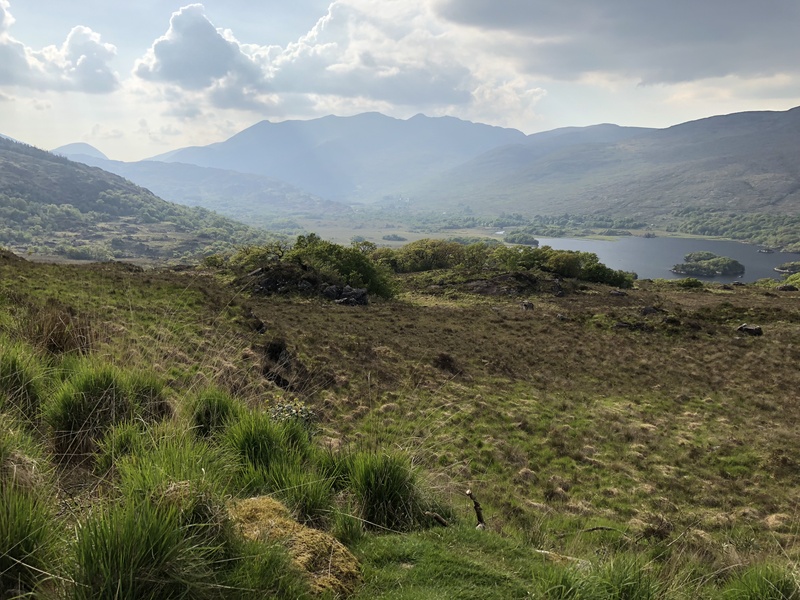 While the coast routes might be the most appealing of the Ring of Kerry, the drive through the national park is absolutely outstanding -especially the viewpoint Ladies View. Driving from Killarney to the Cliffs of Moher will be a few hours. You can either take the highway to Limerick and drive to the Cliffs, or continue the Wild Atlantic Way -Ireland’s coast route- and take the ferry in Tarbert. We decided to go for the coast route and combine the practical with the pleasurable. I had already visited the Cliffs of Moher on a cold winter day; this time it was the complete opposite. While the Cliffs of Moher will always impress you, seeing them in sunshine makes the view even more exceptional. 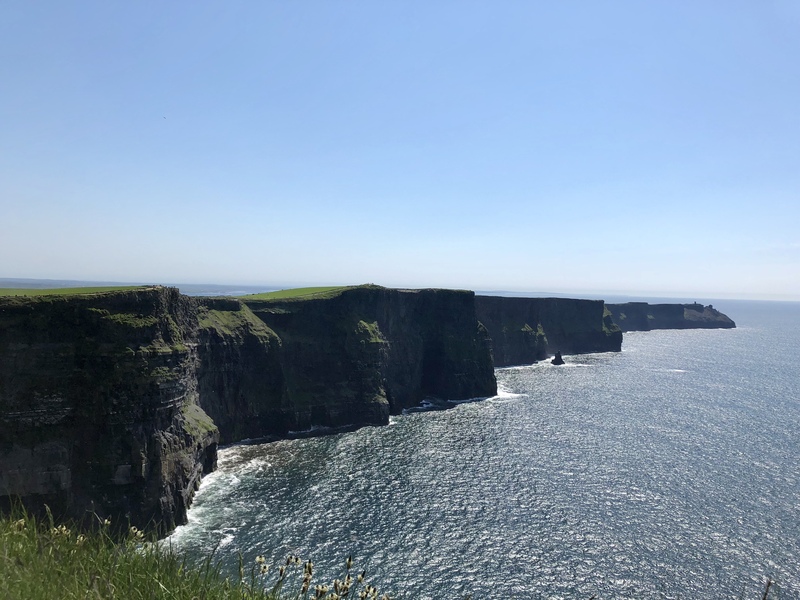 As you park your car you will immediately notice that the Cliffs of Moher are Ireland’s number one tourist attraction – in contrast to the Kerry Cliffs. Still I can assure you that the amount of people don’t undermine the beauty of this impressive landmark. If you want to experience the Irish culture you should definitely visit Galway. Walking down the shop street you’ll pass by many highly talented buskers, which brings liveliness and character to this special city. Additionally, there are numerous cosy pubs to drink a pint with the Irish or restaurants to have the best Irish steak. And to top it off, Galway is situated at a bay, making it the perfect getaway to end your day at the beach.